I love mind maps. They are a great way to brainstorm ideas and organize your thoughts. I've also found them very helpful for taking notes at meetings. I use mind maps at both work and home for these reasons. Because I keep a lot of information in mind maps, I need to be able to access them from wherever I am. Through the use of my smart phone and storing my data in "the cloud", I am able to do just that. I use a combination of tools to access my mind maps. I use Freemind to edit mind maps on my desktop or laptop computer. 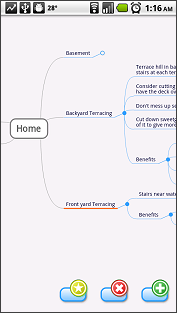 I use Thinking Space to access and edit my mind maps on my Android phone. 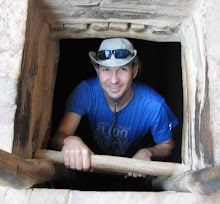 I use Dropbox to store the maps in "the cloud" so that I can access them and keep them in sync in all of those devices. Do you use mind maps? What tools do you use? Am I a Flash developer? Won't you please, please HELP me!